Recently, there's been a movement that has taken the business world by storm, specifically smaller businesses. It's a movement that has consumers pulling away from big corporate chains and finding a new appreciation for their locally owned small businesses. These days, small "mom and pop" businesses are finally starting to take back a small piece of the pie from national chains, and small communities across the country are benefiting from it. Here are 7 local business types you could help by joining this long overdue movement on National Mom and Pop Business Day! Before you go online or to a big chain store to pick up some vinyl or CDs, why not check out your local record store first? Small, locally-owned record stores usually offer a wide variety of music genres to choose from, and the selection is always better than a chain store. You can find used records for dirt cheap and the new ones are usually less than what you'll pay at the big stores, too. You could go to Chili's and order the same meal from the same menu that you could get at any location across the country. But why not give your taste buds something new to enjoy for a change? Chances are, there are several mom and pop restaurants in your city that you have passed countless times on your drive to the big-chain restaurants. Give one of these small eateries a try and taste the difference between a freshly made local meal and one that is microwaved in a bag. Bakeries are no contest when compared to the small mom and pop bakery shops. Get your cakes, cookies, bread and other baked goods from people who are passionate about baking, not someone who just gets paid to work there. There is no doubt you will taste the difference. 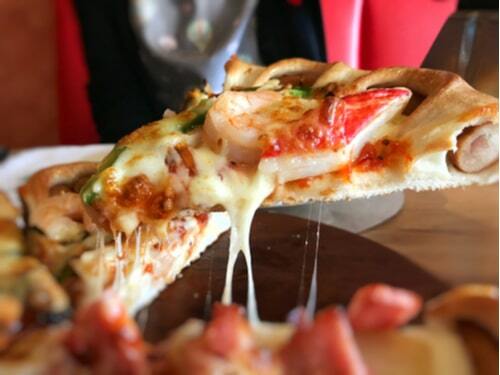 We all know about Domino's, Papa John's and Pizza Hut, but the best pies can only come from your local pizzeria. Many pizzeria owners hail from places where pizza is a staple food, like New York, Chicago or Philadelphia. They've moved their businesses to your city to bring their hometown-inspired pizza to your door, so show them your support. When it comes to finances, there is nothing like putting a face to the business, especially when you need cash in a hurry. If this is you, visiting your local lender for title loans near you could help you and your family celebrate Mom and Pop Business Day and the community, too. There are lots of national chains that have a huge presence in media and online, but they can't offer the service of state and regional lenders who live and work in the communities they serve! Searching for a gift for that special someone? Why not get them something from a small local gift shop? Gifts from the Hallmark store at the mall or a place like Target are never anything special or unique. A gift from a local small business will surely offer something distinctive and creative that stands out from the ordinary. Mmmmm, ice cream. Feel like treating yourself to a scoop of your favorite dessert? Instead of browsing the frozen food aisle or heading to the DQ, try getting a cone from your local ice cream shop instead. They probably have more unique flavors to choose from and many shops make their own ice cream right there in the store. The difference in quality and taste will probably surprise you. It's a nerdy world out there, and the recent surge in comic books sales and comic book-adapted movie blockbusters are proof of it. But comic books aren't the only thing you'll find in a comic book store! These little shops offer a gigantic variety of books, collectibles, games and many other fun memorabilia you would be hard-pressed to find anywhere else. Who Will You Celebrate This Mom and Pop Business Owners Day? So there you have it. 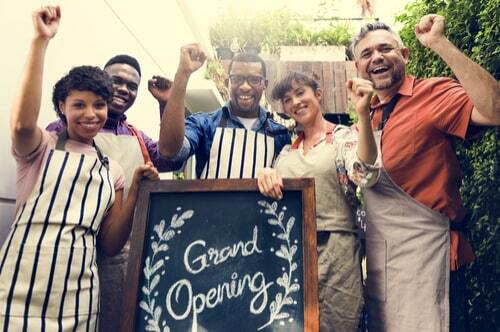 Give these 7 types of local businesses a try this National Mom and Pop Business Day. In most cases, their services are more affordable than their corporate competitors and you could save money by simply shopping locally. By taking a break from the big corporate chains and trying something smaller on for size, you may find a new love for small businesses and what they have to offer.